A great place to have a family reunion! Rent multiple cabins for special events that require lots of beds!! Perfect place to bring the family or plan a weekend with friends. 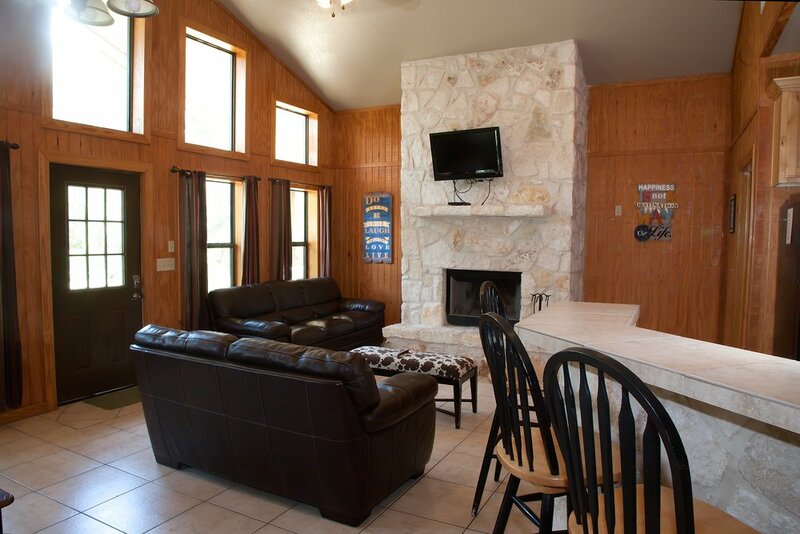 These riverfront luxury cabins are located in a very private area with great views of the Frio Canyon ridges. 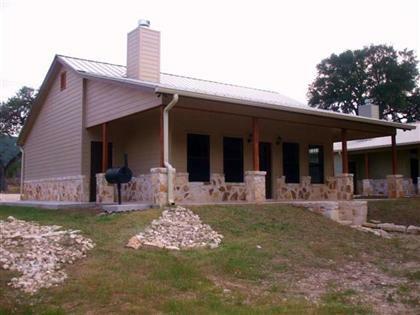 Enjoy the abundant wildlife and the clear waters of the Frio River. Fully furnished kitchen will all new appliances, dishware, glassware, dishwasher, washer/dryer, central heat/air, large flat screen with satellite TV, fireplace, covered porch, outdoor seating, picnic table, BBQ pit, fire pit, and horseshoes. 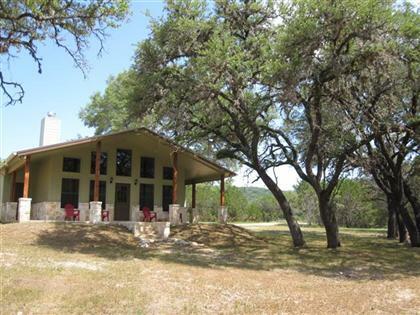 Spectacular views, secluded area, and private river front. Please Note: We are PET FRIENDLY - $20 day/per pet fee. And, extra people above 6 are $15/day. So, if you have 10 ppl in the cabin, there will be an extra charge of $60/night. No RV or tent camping please.